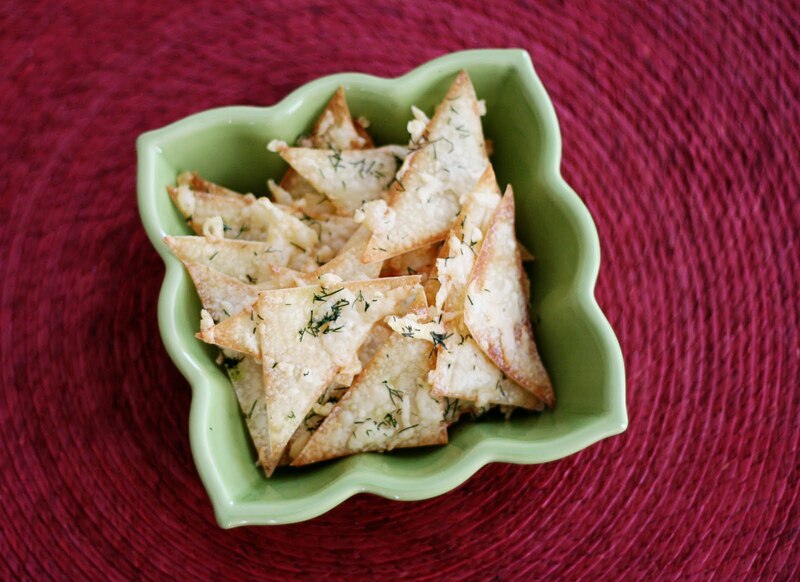 Who's ready for a yummy, easy, low calorie snack? My neighbor made some chips similar to these last weekend and brought them to the pool to share. 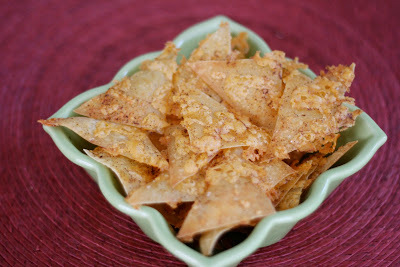 Her version was crispy and light, made with cheddar cheese. I knew I had to make them! I made two different versions -- Dill Parmesan, and Chipotle Cheddar. The possibilities for different flavor combinations is endless, though. You can find wonton wrappers at most grocery stores in the fruit & vegetable section near the tofu. One package will make a ton of chips. Each regular sized wrapper has just 20 calories and I cut mine into quarters -- so just 5 calories a piece for this part of the chip! Spray a baking sheet lightly with vegetable spray. After you cut your wrappers into fourths, place them as close together as you can without overlapping. Give them another light spray of the vegetable oil. Sprinkle them with Dill, and then Parmesan Cheese. Make sure you get a little of both on each chip, but don't try to be too exact. I used fresh parmesan here. I think it melts faster than the powdered stuff. The chips cook so quickly that I was afraid the chip would start to brown before the powdered cheese melted. Bake at 350 for 5-6 minutes, or until cheese is melted slightly and wrappers just start to brown on the edges. 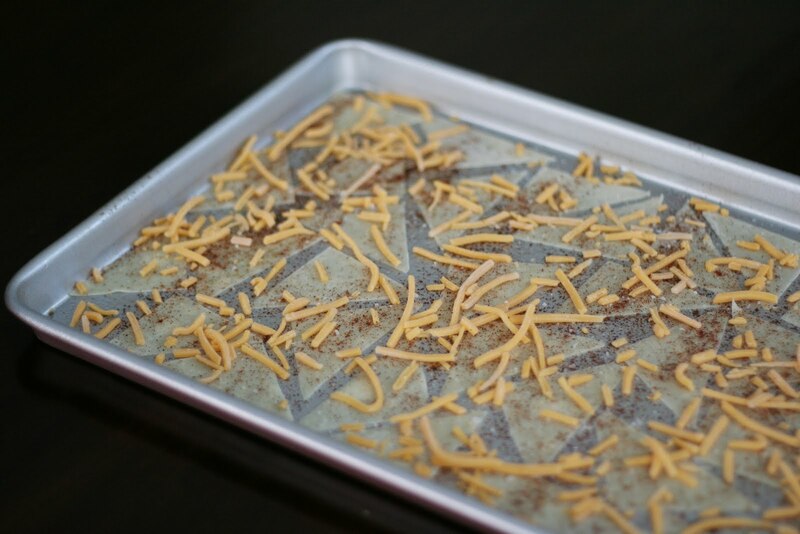 Remove the chips from the baking sheet promptly and allow them to cool on a paper towel. Prepare your baking sheet and wonton wrappers as described above. Sprinkle with Chipotle Seasoning and Cheddar Cheese. Bake at 350 until cheese melts and wrappers just start to brown. Cool on paper towels. Preheat oven to 350. Lightly spray a baking sheet with vegetable oil. Place the quartered wonton wrappers on the baking sheet without overlapping. Lightly spray the wonton wrappers with the vegetable oil. Sprinkle the wrappers first with the dill and then with the parmesan. Bake for 5-6 minutes until cheese is melted and chips are lightly browned on the edges. Remove from the pan immediately and allow to cool on a paper towel. Preheat oven to 350. Lightly spray a baking sheet with vegetable oil. Place the quartered wonton wrappers on the baking sheet without overlapping. Lightly spray the wonton wrappers with the vegetable oil. Sprinkle the wrappers first with the chipotle seasoning and then with the cheddar. 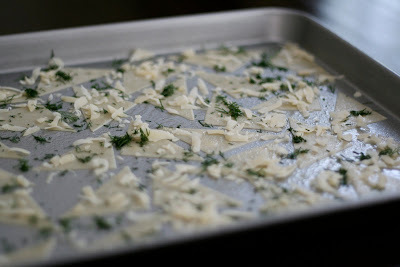 Bake for 5-6 minutes until cheese is melted and chips are lightly browned on the edges. Remove from the pan immediately and allow to cool on a paper towel. These crackers are AWESOME! I would have eaten more, but SOMEONE beat me to it! I just saw your recipe featured on TastyKitchen (congrats =) and it looks fabulous. Easy and scrumptious--I'm making a mental note to do these for our next dinner party, whenever that is.